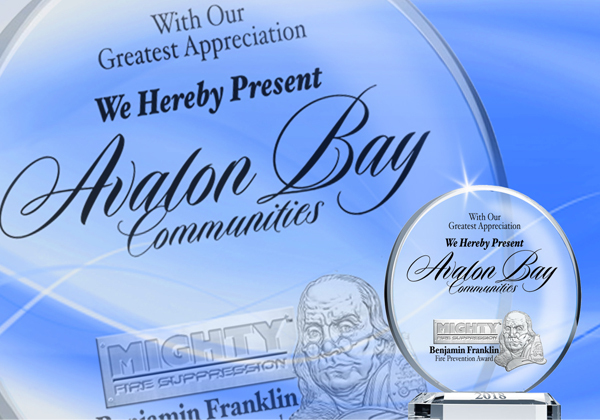 Avalon Bay Communities: Today's Best Builder In The USA. If the President of the United States had an award for Best Green Proactive Builder Award for helping our country and the environment today it would go to Avalon Bay Communities hands down. AVB is the best Green proactive builder today defending wood structures from fire during construction and before drywall and sprinklers are in place to defend. There best practice policies make their job site safer for workers to even work in and on. "AVB IS Providing The Best Fire Protection Practices Through Mighty Fire Breaker™ Applied Science"SM on all the lumber as they are framed among many other things that makes them the best builder in the USA for workers to work for.